With year round sunshine, warm waves and access to over 20 surf spots around Agadir and Taghazout, the peaceful village of Tamraght is ideal for solo travellers, couples, groups of friends and families that want to experience true adventure and dive into the vibrant culture of Morocco. A taste of real Moroccan culture, world-class surf & unforgettable adventure! ​Perfect for complete beginners to intermediate level surfers. Discover delicious Moroccan cuisine with our authentic cooking experience. The perfect combination of guidance and local knowledge to progress your surfing. A great week of surf and yoga created with all you global female surfers in mind! 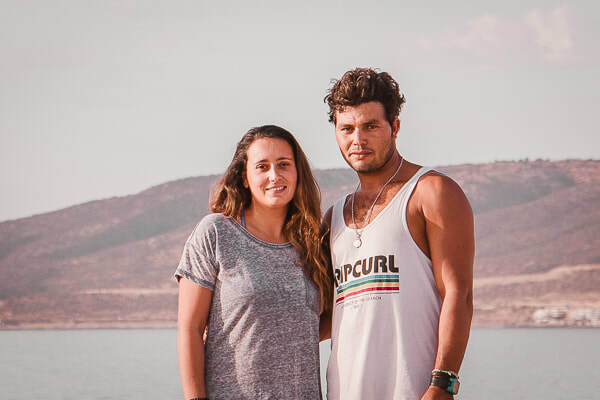 Sophie & Morad welcome you to their home in Tamraght on the Southern Atlantic coast of Morocco for an authentic Moroccan surfing and Yoga experience! Together with their unbeatable knowledge of the local area and their mix of Moroccan hospitality and European quality of service, you’ll enjoy an authentic experience of Morocco with a personal touch. From enjoying home-cooked meals together to tips and tricks for staying in Tamraght, you'll be made to feel like part of the Azrac family! delicious food. The experience was an incredible life enhancing adventure."